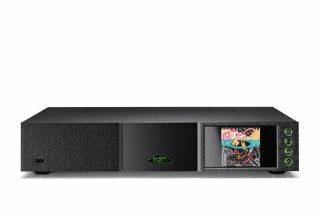 Naim Audio announces new premium music streamers | What Hi-Fi? The new models are the result of four years of development and build on the streaming platform first seen in the company’s highly regarded Uniti series. There are three new products - the range-topping ND 555 (above, £12,999), the NDX 2 (£4999) and the entry-level ND5 XS2 (£1999). Each of the three streamers share a common feature set. This includes embedded Tidal, Spotify Connect and Chromecast (up to 24bit/192kHz). The highest quality input remains the UPnP, which streams up to 32bit/384kHz PCM files and DSD 128. apt X HD Bluetooth and Airplay are also on the menu, as is Roon compatibility. As is traditional for the brand, a lot of effort has been put into optimising the power supply arrangement. The ND 555 has no fewer than 13 of Naim’s DR voltage regulators, each dedicated to feeding the DACs, clocks and output stages with clean, stable power. Unlike the other two streamers, the ’555 needs a dedicated outboard power supply to work - in this case, the 555PS (£6999). Apart from the streaming module – something that’s shared across Naim’s recent streaming products – there’s plenty of other interesting technology here. The digital signals are sent around the circuit board using LVDS (Low Voltage Differential Signalling). This way of transferring the data results in faster speeds, reduced noise and jitter, and keeps radiated electrical fields low. All the main boards are isolated from the casework to reduce the amount of mechanical vibration reaching them. This isolation is achieved using springs, tuned to decouple the boards from all vibration above 10Hz. The product has a cleaner look than its predecessor, the NDS, and now has a large 5in TFT colour display with a proximity sensor. As part of the company’s upmarket 500 series, the casework matches the understated aesthetics of the rest of the series. The NDX 2 and ND5 XS 2 streamers are progressively less elaborately engineered, not surprisingly – but they still display the same attention to detail when it comes to construction and electronic design. The ND5 XS 2 is a stripped-back design that does without a display or front panel controls altogether, Naim arguing that the optimal interface between user and streamer is via the dedicated app, so the lack of display and controls is no hindrance. It also allows the engineers to optimise the performance for the price. The XS 2 is actually a few hundred pounds cheaper than its predecessor, so the company may have a point. All three of these players should reach the dealers by summer of this year. We can’t wait to try them out.